It's been 2 weeks since the last announcement and guess what? a lot of things happened during that period. Do you know? We are continuously breaking records at Super8BallClub. We are growing not only in terms of members but also in terms of activity. Now we have nearly 500 members registered at Super8BallClub. That's a huge success for the project which had little to no promotions, considering that I only made two posts on trending but members kept coming even after those posts got buried. Scroll down for graphical details. First of all, I'd like to thank our biggest delegator @donkeypong for generously delegating 5,000 SP to @super8ballclub which directly increased the reward pool. Not only that, he's been voting on the reward comments to increase it even more and I'd thank him again for that. The second delegation is received from @syedumair where he declined all the delegation rewards to support the project. Thank you @syedumair for supporting the project selflessly. And last but not least, I'd like to thank our second biggest delegator of all time (till now) @lukestokes for delegating 2,000 SP to @super8ballclub. The great part is that he delegated prior to the announcement of delegator rewards system (without even knowing that there would be any reward for doing so). His delegation arrived when we were in need of delegation to kick the things up. Right now, we have the total of 8,000 SP delegation (including my delegation). Introduction to Super8BallClub - Profit Sharing Program & Referral Program. The Explosive Growth Of The Project & Reaching 500 Members In Only 3 Weeks! If you've been reading the posts created under super8ballclub tag, you'd be amazed that the project successfully managed to gain the popularity among some inactive accounts while some of them started to use their accounts just because of the opportunity of Super8BallClub. We have got a lot of reputable members in our game and thus reaching nearly 500 members in only 3 weeks. (493 members to be exact till now). Not only we broke that barrier, On Thursday, we received the request of 3252+ shares conversion to SBD in total. Guess what? We managed to attract the Steemians and our Discord group (mainly gamers-chat) is always active and searching for opponents to play. Let's not forget that we only made two announcement posts and pushed it to the trending page with the help of bidbots and successfully managed to grab the attention of members consistently. With that massive increase in the activity, the current delegation is not enough to reward the time of gamers. It is the first ever gaming project on STEEM blockchain which is targeting more than 100 million gamers. How do we know? This game is developed to give tough time to 8 Ball Club of Miniclip which successfully attracted more than 100,000,000 downloads from Google Play Store (let alone the fact that there are many sites where that game is available to download). Would you not like to welcome 100 million gamers on Steem Blockchain? If so, how can you let this project die that way? Don't forget the impact of CryptoKitty on Ethereum Blockchain, and well, don't forget the current success of Super8BallClub. At Super8BallClub, we offer all the SP rewards of the author to the delegators. If you curate the content through the STEEM official system, you get 25% of the post and that too after competing with other votes. But with Super8BallClub, you'll get 37.5% profit of the post (since 37.5% of author reward comes in SP). That's roughly 12.5% more than STEEM official curation system. Oh, let's not forget that this is just a "minimum" of what you'd get. If our posts manage to attract votes from other voters, your rewards will increase too, and there's no max limit. But considering the daily activity and increasing members, 8,000 SP is allowing us to distribute only tiny amounts to the winners. Since the project Super8BallClub gives everyone a fair chance to win and earn, the rewards are no longer reasonable for the time being spent. At this point, I am requesting all the delegators to delegate good amount of SP to @super8ballclub. Delegators receive all the author's SP rewards which mean 37.5%. That's more than what other projects may be offering. We are not bullying the official curation system, it's good enough. Rather, we're offering a better opportunity on the same blockchain in good faith. The profits you'd receive with this project is far more than any other projects. There may be a lot of things unclear in your mind. That's why we planned to write FAQs part for our project in this post. Please read the FAQs below. 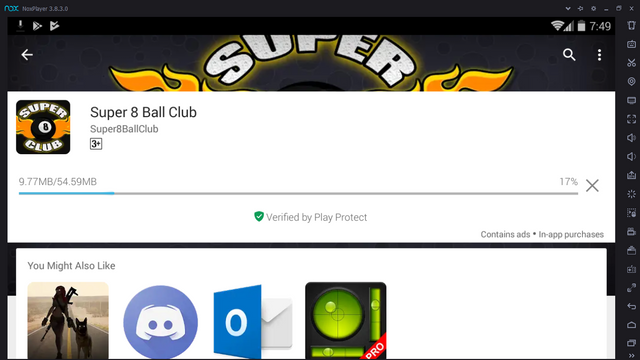 Super 8 Ball Club is an android game where you can play with your fellow Steemians through multiplayer and earn SBD by winning the matches against real opponents. The great part is that you don't lose anything when you get beaten by your opponent but you earn shares when you successfully beat your opponents. The game uses two in-game currencies: Coins and Shares. What are Coins in the game? A coin is an in-game currency which can be earned by referring your friend, claiming the rewards from our daily rewards system for free, watching ads and beating your opponents. Coins are used to pay the board fees just like any other game but they are not convertible to SBD. When you choose the board, you pay the board fees in Coins and when beating the opponent, you get x2 of what you paid. But in case you lose, you only lose the coins which can be earned again using above-mentioned ways. Currently, there's no way to buy coins with money since we don't allow gambling. What are Shares in the game? Share is an in-game currency which can only be earned and never be lost. When you win the matches, you not only earn 2X of fees paid in Coins but you also get shares, and once you earn those shares, they can never be lost, they will never be at stake when playing the match. The shares reward for each board is different and is clearly written in the board's selection menu. Shares are convertible to SBD. Who is trading Shares for SBD and where the reward comes from? Coins and Shares, both are virtual in-game currencies. We use "Shares system" to track how much you've earned and in order to give you the ability to request your payout whenever you want, we had to use shares system. That way, you can accumulate as many shares as you want and request the payout weekly/bi-weekly/monthly or whenever you like. When you send us the request of converting shares, we manually verify the gaming activity for possible exploits/pirated version/fake identity or any other abuse. If there's no such abuse, we include your name in the "Winners Announcement" list and make a public post on STEEM blockchain with @super8ballclub account. After that, we make a separate post for "Payout" and post 10 comments through @super8ballclub on that Payout thread on which we mention "Distribution of rewards to the winners. Voting round 1-10" and upvote all those comments through @super8ballclub. The SBD reward of these 10 comments is the reward pool of that particular day, and we do it every day. In short, the reward still comes from voting activity. No one directly trades shares for SBD or SBD for shares. They just request the conversion to get their names included in our winners' vote list and get the share of their prize from our reward pool. What is the value of 1 Share? Our total reward pool is: SBD rewards of 10 comments below by @super8ballclub on which "Distribution of rewards to the winners" is mentioned. Whatever the rewards those comments generate in SBD, it will be included in the reward pool for that day. Do we really play with fellow Steemians? Actually, that's what makes this project completely unique on STEEM blockchain. You play with your fellow steemians and not only that, you can chat while playing in the same room. It would be a lot more fun to chat while playing the game. We also support "Rematch" feature. That means you can play as much as you want with anyone (if your opponent accepts your rematch request). In general, things are operated in a similar fashion as 8 Ball Pool of Miniclip but there's a huge difference between 8 Ball Pool and Super 8 Ball Club. You get nothing when playing 8 Ball Pool but you get SBD when playing Super 8 Ball Club. Is Super 8 Ball Club powered by STEEM blockchain? Yes, the game is only accessible by steemians. 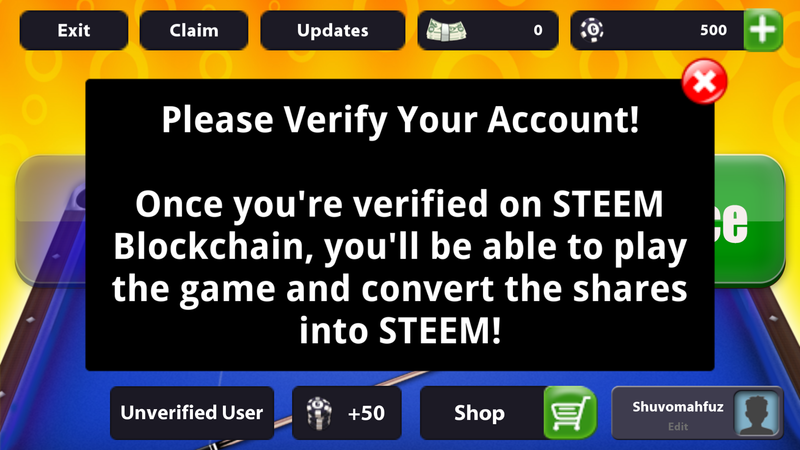 You cannot play the game if you don't have an account on STEEM blockchain. 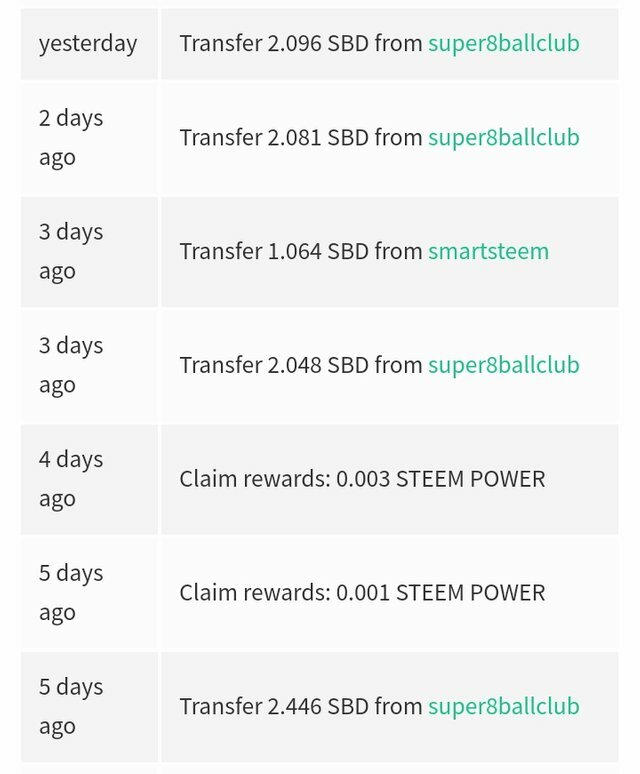 Also, the reward comes from voting activity and winning details are posted on STEEM blockchain from the official @super8ballclub account. Therefore, it is powered by STEEM blockchain. How secure is my STEEM account with it? Here's the best part, we never ask your STEEM account passwords and thus offer 100% security for your STEEM accounts. We give you the ability to create game accounts on our database. Do you have any running promotions to get more coins? Yes, we're running referral program where you can get 1,000+ coins for referring each verified user to the game. Your referral will get 250+ coins for using your name as a referrer. In the near future, we're going to announce some exciting promotions. Stay tuned! Is the game available for iPhone users? Unfortunately, not at the moment, but that's our main priority. We'll be launching the iOS version soon. Stay tuned! Can I play the game on PC? Though we don't give any kind of official guarantee of the performance, you can install Bluestacks or Nox Player (android emulators) and play the game using any of them. Some active players are already using Bluestacks and Nox without any kind of issues. 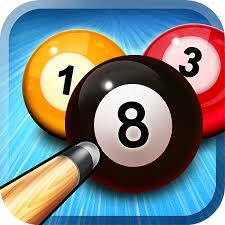 Download the application from Google Play Store (or search Super 8 Ball Club in play store). Make sure you have an account on STEEM blockchain. If not, please make one. Open the game and fill the registration form. Remember that your tracking name will be used for verification purpose. The registration form is already explained there. Please don't put your STEEM account password. This is a separate account and we never ask your STEEM account passwords. To learn more, please read this post. How to verify the game account? Please take your picture while holding the piece of paper/board (not anything special, just a blank paper). Write your STEEM username and game tracking name on that piece of paper or board. Your face, STEEM username and your game tracking name must be clearly visible. Write a post on STEEM blockchain and upload your taken picture (the one which meets the above requirements) in your post. Make sure to use "super8ballclub" tag when posting on steemit. See the picture for an example. (It can be a piece of paper but you must be holding it in your hands). Please write a post on STEEM blockchain with your game tracking name. Make sure to use "super8ballclub" tag when posting on steemit. Once done, please wait for 24-72 hours and we will enable your account as soon as we verify your identity. The verification process is hard, why is it necessary? Unfortunately, there's no better way to prevent multiple accounts abuse than asking for a selfie. If we'd allow multiple accounts, there would be a lot of abuse in the game and we don't want to let that happen. We are here to stay for long and it's best to protect the project from the beginning. Some people suggested to use same IP detection system but unfortunately, it limits those people who use public wifi or shared internet connections. Selfie while holding the nameplate is the only reasonable solution, so far. If you have any suggestions, feel free to write them in the comments (or write in our discord suggestion channel). How do I refer people? Simple. Just ask them to write your steem username in the registration form of the game and both of you will get what you're supposed to get. Please note that referral rewards are only available for verified users. If you refer someone while you're unverified, you won't get anything. If you refer someone who is unverified, he won't get anything. I want to delegate to @super8ballclub. Is there any reward for delegators? Yes, we offer all the SP rewards of the author which means we offer the minimum of 37.5% profit of the value of our official comments proportional to your delegated SP. The comments can attract votes from other users which will undoubtedly increase your rewards, therefore, unlimited rewards potential. We don't use random selection systems nor we use the lottery-based system. We offer equal rewards for their SP to the delegators and as soon as you delegate to us, you're guaranteed to receive rewards. Note: The minimum delegation to earn profits using our profit sharing program is 500 SP. How do I receive delegation rewards? Unfortunately, there's no direct and feasible way to deliver the rewards to delegators on the spot. The beneficiary system is limited and we can only add 8 beneficiaries. That's not scalable at all, considering the possibility that (hopefully) there will be many delegators. To distribute the rewards to delegators, we'll power down every week and transfer your earned profits accordingly. Using power-down, we'll be able to unlock 1/13th of your profits every week. To get the most out of power down operation, we'll start a new power-down every week so that we could start transferring the latest earnings of delegators too. It will take 13 weeks for us to completely deliver your profits but we'll be transferring 1/13th of your profits every week from our @super8ballclub to your wallet. When will I start receiving the delegation rewards? As soon as you delegates to @super8ballclub, your rewards accumulation starts right away. However, you'll receive your first reward after 14-17 days from us. That's because we power down the amounts after the post pays out. The official time window of posts payout is 7 days, and the official time window of power down is also 7 days. Therefore, it takes some time to start receiving the rewards but you start accumulating them right away and you'll receive them with time. How do I delegate to @super8ballclub? You can delegate to us by using the links below. 500 SP, 1000 SP, 5000 SP, 25000 SP, 100000 SP. Please consider delegating to @super8ballclub and help us attracting millions of users from the gaming community. Don't forget that the success of this project would be a success of STEEM blockchain overall. I'm sure that we'll be able to push the value of STEEM upwards through such projects which would be a huge victory for us. Look at the bigger picture and support us. At last, thank you very much for delegating, supporting and taking interest in Super8BallClub. Looking forward to having you as one of the active gamers in our game. 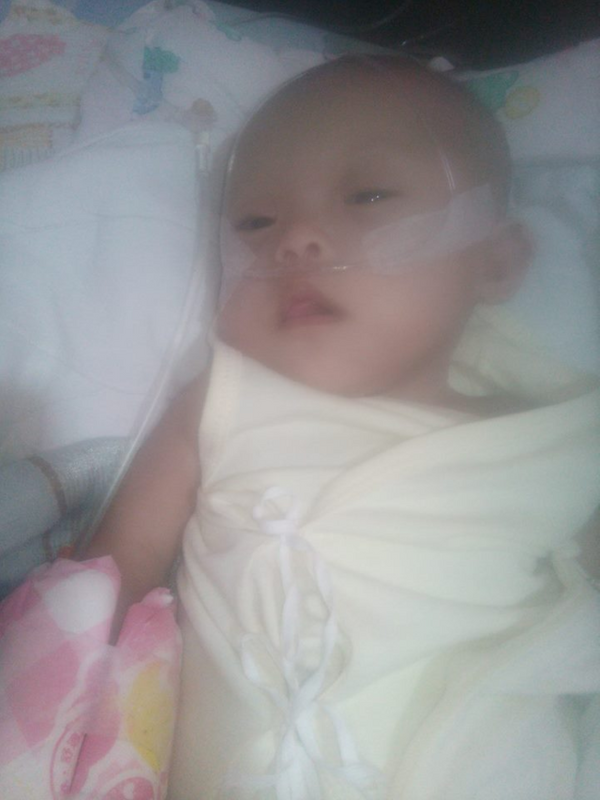 Please help this Blue Baby Patient, Laine Kharece by upvoting the link below. This is not a scam, we just need your support as part of steemit community. Thank you very much for reading and extending a little help. Thats a cool project man Im gunna have to check it out!!!!! I am sure you will love it. Super 8 Ball Club how we can join this ! i think , i have already play 8 ball. See the post above for details. The problem is that if you don't have more than 500sp you can't delegate. I believe this is one of the best projects on steem blockchain and is very undervalued considering it has got little to no delegation. I don't have hundreds of sp in store but I want to support the project with whatever amount I can. I'm enjoying the game a lot. And the reason is I'm not only a 8 ball pool lover but also got paid by winning matches. I've joined the game after few days later of the release. After getting the reward I was like "Is it for real". I am feeling like a professional 8 ball player. Who imagined you can actually earn money by playing game in mobile. Great initiative taken by @princewahaj so far so good. I'm in with this game. Having a lot of fun. You guys have done an amazing job, I received my second payout from you guys today, both times I recieved over 2 SBD. Thanks again, I've been slack and haven't played in a few days... Gotta get back on the table! Probably first of its kind on the Steem Blockchain, high progress rate and definitely a project to penetrate masses. Looking at the new joinings and the platform for beginners to earn some steem and SBD. I really believe this deserves more as it has a future written. Great job and I love the game. This only motivates us to work harder. I absolutely enjoy the game! It's growing with speed reaching almost 500 in less than 3weeks! I absolutely enjoy the game! It is rising with speeds of around 500 to less than 3weeks!! Thanks for sharing this with the community. It always nice to read something that is done with passion. i am new in steemit i don't know very much about steemit , # but i read your post very carefully . after read the post i understand that you make a game and i think it's really amazing . i will cheak it out. First of all thnx to princewahaj for creating this amazing game thnx a lot. And if super8ballclub get delegations so he was able to give more rewards to their players and this game deserve the delegations and players deserve the reward . nice post and thanks for sharing all this info i am pretty sure it will be helpful!!! good luck and good day!!! This is a great project which i will love to partake. Man, you are expert for these things. I am obsessed with the review.. clearly and precisely explained, thank you very much! Definitely a very interesting project! I am a mobile dev as well and have just started my own app powered by the Steem blockchain. Your project is yet another great example of how to utilize and gamify the platform. Well done! Haha! I downloaded the game but it's quite lagging to my mobile phone. I guess I should buy a better phone. Im too lazy to read thru the entire post. its a great project and I will definitely play the game. Guess what? Your suggestion of SP delegation makes a lot of sense. I'll have to think deeply on it. But our current system is designed to prevent multiple accounts. So far, we're checking the selfies manually and in the near future, I'm planning to look into some face recognition technology. But your suggestion seems easier to integrate but I'll have to think on its pros and cons. Do you have any other suggestions? Shoot them up here. This is done to prevent the fraud. Yes it is not the perfect way to do the verification but right now it is the best. We are and will continue to work harder to make the verification process smooth. fantastic game. i also love this game. did yoy have to verify your identity? i love @super8ballclub so much beside this is my favourite game i also get paid by playing this game. already download super 8 ball club from playstore, on my way to becoming a champion.... get ready guys. I already have account here and there too. But it showing me as aunverified user. I am using same email to register in steemit and 8ball. How can i attach it with steemit? The verification process takes 24-72 hours because it is done manually. Don't worry, you will be notified once you are verified. i have the app and registration for more than a week now. Can you drop a message in the support channel of our discord? Yes, the game is second to none... It's lovely, and i hope you get the football manager soon. Create that, people will play it as well. Got nothing to delegate but i think this post worth my RESTEEM and UPVOTE. Thank you for your resteem. Right now we can only focus on this game to make it even better. Maybe in future, we might think of football manager. great to see a gaming project on the Steem Blockchain. Can you play on an iphone? Not yet, as answered in FAQs above. You can play on Android and on PC using android emulators. I think ,it is the worlds best game. Thanku @princewahaj for this game. That's great. Thank you for playing Super8BallClub and for being active in our discord group @peerzadazeeshan. @lucky1001 - You may not realize that "great post" is considered to be spam, you used 87 similar phrases in your last 100 comments, you've received 1 flag, and the Steem Sincerity API shows a 62.30% spam score. Learn why this is spam and a few better ways to earn the support of the community when commenting. 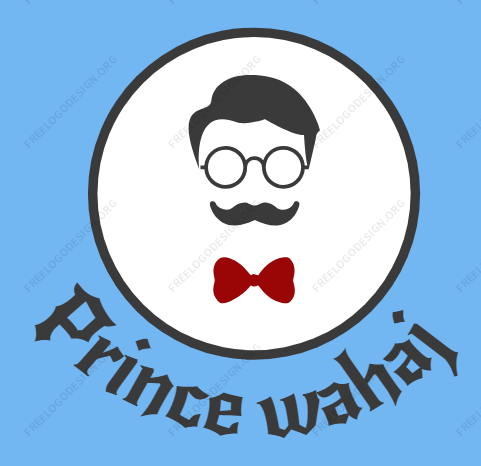 @princewahaj - You can remove this comment and everyone can whitelist me from appearing in future posts. @pricewa I lucki1001 I've read the post you share. I think your post is cool and good for me and for all steemian all thanks for the advice. I was playing this game anyway before, now i saw this and of course immediately downloaded it! Can wait to get my approval to start playing against other members. i have not verified.please help me.i am send to request to register. Superb game bro great work you are doing for growth of steemit by helping through this game many user of steemit enjoying this game. hello bro apka number mil sakta hai? hello @princewahaj i have registered for the super 8 ball club and posted for my verification on the STEEM block chain but i am still yet to be verified. You're already verified. Check my comment on your verification post which I made 10 hours ago. Entire process is very complicated. I think something should be done to make the process easy.I have installed the game and highly interested to play.But due to the difficulty of verification I am unable to play the game. The verification process is not that difficult. You just have to make a post with your picture in it. This is done to prevent users from creating multiple accounts. I’m glad I saw this, cause I was going round in circles with the verification. At first I didn’t realise how to shoot the cue, now I’ve done a couple of practices and joined the discord channel, I’ll be playing for real tomorrow. Yeah! Interesting project, I am going directly to play store to download it.